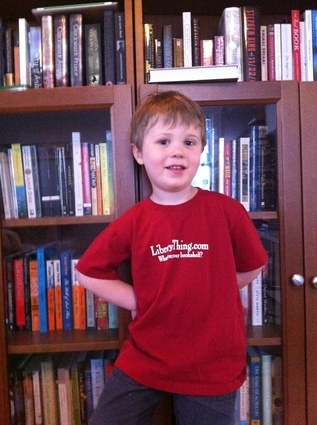 New: LibraryThing T-shirts for kids! 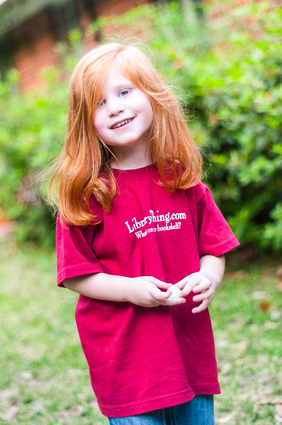 We’ve just restocked on LibraryThing t-shirts, and we took the opportunity to add some new sizes: we’re now offering youth sizes XS, S, and M (roughly 2T, 4T, and 6T). They’re available now in the store. 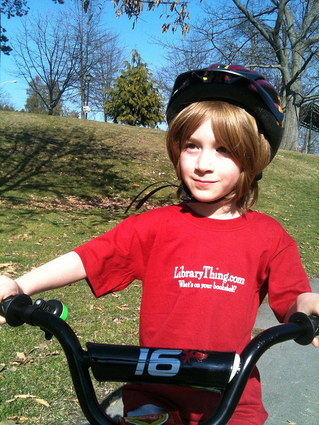 Each size comes in black or red (the kids’ shirts are a brighter red than the adult “cranberry” ones). 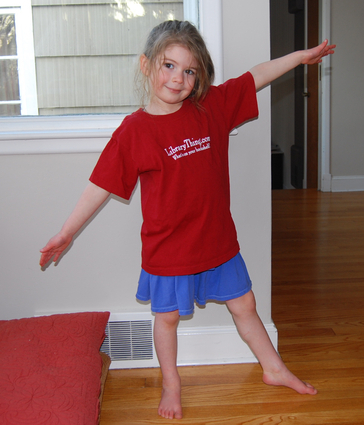 They’re Anvil brand, 100% cotton, pre-shrunk, and can be yours for $15 plus shipping. 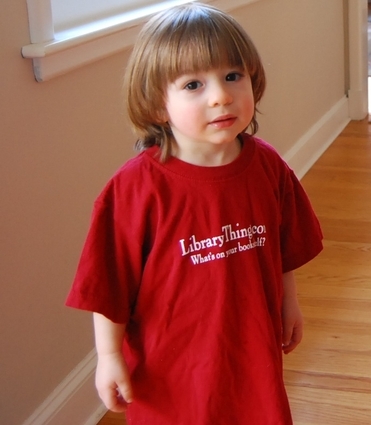 We could think of no better way to highlight the new shirts than to allow the LibraryThing staff to show off their cute children (most of whom longtime members may remember from when they were LibraryThing babies). Click on each picture for a larger version. All five are wearing the new Youth Small size. From left, from oldest to youngest: Tim’s son Liam, 6; Chris C.’s daughter Ellie, 4.5; Chris H.’s daughter Kate, almost 4; Abby’s son Jasper, 3.5; and Chris C.’s son Julian, 1.5. My, you folks do have a handsome set of kids!